Time for another bourbon – this one is close to my heart as one of my first whisk(e)y experiences. Wild Turkey is an iconic american bourbon, also available in most countries world wide. On the back you’ll see ‘distilled by the Austin Nichols Distilling Company, Lawrenceburg , Kentucky. But it’s really owned by the Campari group, having bought it over from Pernod Ricard, who themselves were owners since 1980. Nonetheless Wild Turkey is one of a few bourbons that is distilled and aged in their own premises. The nature of the industry being that a large distillery like Buffalo Trace for example can distill for several brands varying the mash bill, and distillation regime of course. So being a bourbon, we get to talking about mash bill and Wild Turkey uses a 75% Corn, 13% Rye and 12% Malt Barley recipe. Other bourbons may use wheat instead of rye for a rounder smoother profile but Wild Turkey is known for its rye component for which its typical spiciness is attributed to. Bourbon is also differentiated by distillation regime and Wild Turkey having its own distillery does utilize a jug yeast faithfully propagated daily for decades where other distilleries may use commercial dry yeast for some brands they distill for. Also bourbon may be distilled with either pot stills or continuous stills and Wild Turkey does use continuous stills though the new make is distilled at lower proof than standard, requiring the addition of less water after maturing. By law all bourbon must be matured in new oak barrels – and the Scotch industry thanks them for that – and Wild Turkey does use a heavy alligator char in their barrel, suggesting more carbon available during the maturation period. 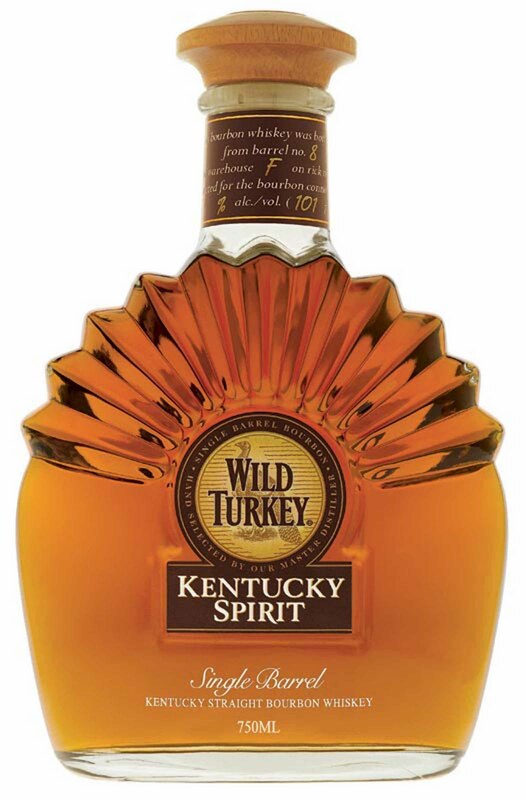 Wild Turkey Kentucky Spirit is a single barrel bourbon, selected by the Master Distiller Jim Russel that capture the essence of Wild Turkey Bourbon. Nose: Big sharp and sour spices – dill and cloves, woody notes and old seasoned saddlery. Loads of creme sweetness and brittle toffee. Dry tobacco leaves. A big and lush nose. As bourbons go, this one is in fact on the spicy side despite having only 13% rye in the mash. Dry pine and a whole bag of mixed aniseed rock/licorice candy as well. With water: Rounder and softer. Palette: Big as expected, lods of sour herbal and spicy notes and juicy red berries too. Bracing sour spiciness. Woody. Some leather conditioner. Not a smooth whisky but instead chockful of character. Gets sweeter and more aromatic on the tongue. With water: immediately sweetens and smoothens out. Still a good prickly spiciness. Finish: Medium long, vanilla and bananas. Big bold American, full of good spirits though not necessarily the most complex, is definitely the one you can rely on. 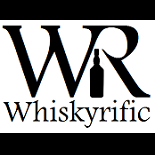 This entry was posted on May 16, 2014 by Whiskyrific in Bourbon, Wild Turkey and tagged bourbon, Wild Turkey.